We are a group of scholars united in exploring issues related to wellness. We understand “wellness” to have several dimensions. 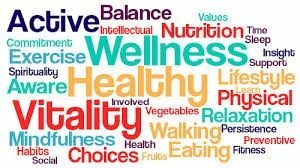 For example, wellness not only relates to physical activity, physical literacy, healthy eating, and dealing with stressors positively, but also to other issues such as mental health, comprehensive health programming, financial issues, social decisions, etc. Thus, wellness covers a wide range of topics worthy of research. Wellness has personal, familial, and social aspects and is an integral role in how we carry out our lives (e.g., choices, communicating, goal-setting, etc.). As an academic group, we will gather/communicate regularly to share the goals and results of our research. We will learn from each other and collaborate on projects. Since the members of the group represent many fields and institutions, we will bring a diversity of approaches and topics to the table. A forum where scholars can share their research and work-in-progress, and learn of the work of others. Resources and learning opportunities for scholars to develop new aspects of their research. Possibilities for collaborative and interdisciplinary work within Concordia University of Edmonton and other institutions/ organizations.